Product Description: A Commodity Contract for Difference (CFD) is a leveraged financial derivative based on the price of a commodity such as oil or gold. Objective: Allows investor to speculate on the price movement of a commodity without ever taking delivery of the commodity. Intended Retail Investor: Small to large scale investors who want to speculate on movements in the price of a commodity. We offer a two-way price on a number of Commodity CFDs. For instance, we may quote the Spot Gold at 1,265.0-1,265.4. If you expected Gold to rise you would buy at 1,265.4, if you expected it to fall you would sell at 1,265.0. For instance, in this case one contract would represent USD $1 for each 0.01 movement in price. Let's say you chose to buy 10 contracts at 1265.4. This would equate to a notional value of £1,265,400 (126,540 multiplied by 10 contracts). In order to place the trade we would require margin on your account of 1% of the notional value of the trade, which equates to £12654.00 in this case. In the above example, the value of your open position would increase by £10 for every 0.01 point increase in the price of Gold and decrease by £10 for every 0.01 point fall in the price of Gold. The principle cost or commission of trading CFDs is incorporated in what is known as the Spread, which is the difference between the sell and buy price. The Spread is fixed and can be viewed, along with other specific product information, here in the Market Information Sheets. 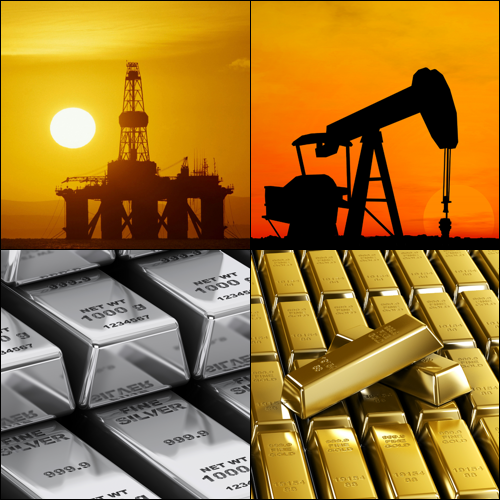 There are two types of Commodity CFDs, Cash based and Future based. For Cash based Commodity CFDs Bets there is a cost of holding a position open overnight, known as the Overnight Financing Charge. The effect of these adjustments is to mirror the effect of us financing the asset in the underlying market on your behalf.